The following is a joint statement of Rt Rev. 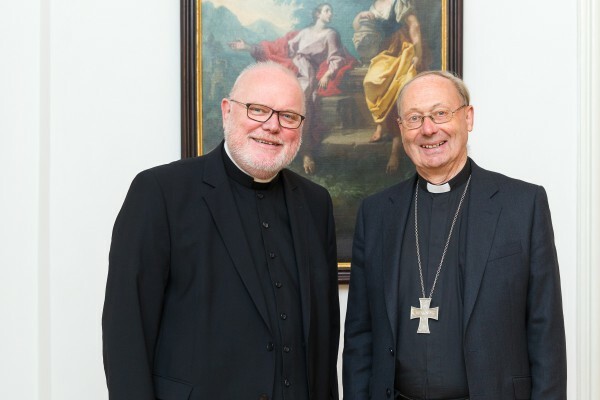 Christopher Hill KCVO, DD, President of the Conference of European Churches (CEC), and Cardinal Reinhard Marx, President of the Commission of the Bishops’ Conferences of the European Community (COMECE). The European family of nations finds itself confronting a humanitarian crisis on a scale without precedent in its post-war history. Civil war in Syria, widespread political instability in other areas of the Middle East and dire poverty in many parts of sub-Saharan Africa have forced upwards of two million people, many traumatised by war, others rendered hopeless by poverty, to seek asylum or the opportunity of a better life in Europe. The migrant crisis has received wide media coverage, the political world has scrambled to find solutions, religious communities and civil society across the EU have responded with sometimes amazing warmth and generosity, especially to those whose need is greatest. The crisis risks overwhelming us and the suffering of those looking to Europe for refuge, asylum and the opportunity of a better life risks becoming more acute – not least with the coming of winter – unless a political response, supported proportionately by all EU member states, is forthcoming. Christian leaders across the continent have made their voices heard, pleading for humane treatment for migrants, asking the member states to be generous in their hospitality and pleading for solidarity across the Union in extending welcome to asylum seekers, with particular sensitivity to the most vulnerable, especially families with children and unaccompanied minors. We, speaking as presidents of the two largest groupings of Christian communities within the European Union, renew our plea for a concerted, unified political response to the current migrant crisis and pledge the support of the Churches we represent by playing our part, at every level, from the local/parochial to the national, in embracing with generosity the twin challenges of welcoming brothers and sisters from beyond our territorial frontiers in desperate need and who turn to us for help, and of making them an integral part of the European society to which we belong.